Don't discard your pumpkin seeds this Halloween! Those slippery little suckers that usually end up in the compost bin are just a couple of steps away from a delicious snack – crunchy, flavoursome and oh so moreish. Roasted with butter, cinnamon and maple syrup they become an autumnal taste sensation that you just can't get enough of. Hopefully by now I've harped on enough about using pumpkin for both carving and eating that you know my thoughts on the matter. #lovefoodhatewaste There is so much more potential within them that just a spooky face and a tea light. To clear up any further misconceptions you absolutely CAN eat the flesh of supermarket carving pumpkins, you perhaps won't get as much as from a culinary pumpkin but certainly enough for a pot of pumpkin soup or a loaf of pumpkin bread. But today's recipe isn't about pumpkin flesh, instead it's focusing upon another discarded element - pumpkin seeds. 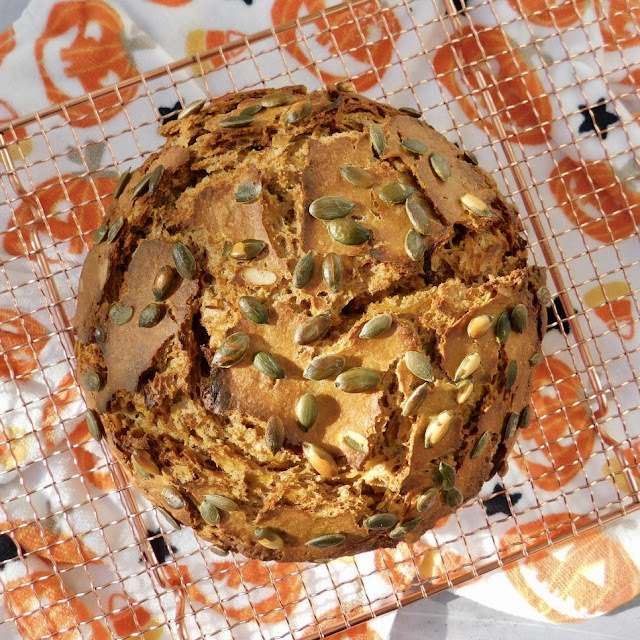 A quick and easy Autumnal Pumpkin Soda Bread that requires no yeast, kneading or proving. A perfect love food hate waste recipe to use up pumpkin flesh before you carve your Jack-O-Lantern. We really do need to realise that pumpkins are a valuable source of food and not just for decoration. The second of my pumpkin recipes for 2018 urging you to eat as well as carve these wonderful orange fruits! (yes they are fruits not vegetables) I'm really delighted that my post about where to pick a pumpkin in Scotland has proved to be so popular. I'm pretty sure that the vast majority of the places featured have now sold out so please do double check before any last minute journeys to procure pumpkins. A sheet with a selection of my pumpkin recipes was available to visitors at Udny, Arnprior, Kilduff and Westerton Pumpkins and Pumpkin Soda Bread was one of the recipes included so I'm hopefull that some pumpkin pickers may already have given it a try. Soup is possibly the quickest and easiest way to make use of pumpkin flesh and this one is super tasty. Sweet pumpkin and spicy chorizio are a winning combination and this warming soup is packed with intense flavours. A hug in a bowl Ideal for Halloween and Bonfire Night. 'Tis the season for Pumpkins. I've said it before I'd I'll keep saying it but we really do need to realise that pumpkins are a valuable source of food and not just for decoration. There’s more than enough flesh to do both. 1.8 million pumpkins were carved in Scotland for Halloween last year with over 1.1 million thrown away. That’s enough pumpkins to stretch from Edinburgh to Stornoway. A truly frightening amount of food waste. A comprehensive roundup of the best places to pick pumpkins in Scotland this Halloween. Fun for all the family at locations in Aberdeenshire, Fife, Angus, Perthshire, the Lothians and Stirling. Keep with tradition and choose a neep, get lost in a maze, meet farm animals, dig tatties, clamber on bales and lots more. Grab your wellies and warm clothes this Autumn and experience a Scottish Pumpkin Patch. Halloween has changed a lot since I was wee. Then it was all about homemade costumes, neeps, apple dooking, guising and not a mention of trick or treating and pumpkins. You had to do a proper turn to get your sweetie. A joke would have had the door slammed on your face. However in recent years I too have turned to the dark side and officially become obsessed with all things pumpkin, fall, autumnal, thanksgiving and pumpkin spice! I do still however bow down before anyone who attempts to carve a neep. Those bad boys are seriously hard work. Simplistic carving is the order of the day and it takes time and dedication to create a neepie lantern. Saying that, the smell of a stubby candle burning the inside of a neep is a childhood memory I would rather forget. The examples below are from Mandy at Mud Pies and Isla at Cool Gourmet. I look forward to seeing what both ladies come up with this year. It's not just its Neolithic origins stretching back some 10,000 years that Orkney has to shout about, there's also a fantastic food and drink scene. Land and sea provides an abundant natural harvest and skilled producers and chefs turn those raw ingredients into fabulous cuisine. 2 whisky distilleries, 3 gin producers, beer, cheese, oatcakes, lamb, fudge, ice cream, bere meal and more. You won't go hungry on an Edible Orcadian Adventure. Peedie is the most commonly used dialect word in Orkney and means little or small. Go back and read the paragraph again - ideally with a lilting Orcadian accent - and you'll get the gist of what I'm talking about! 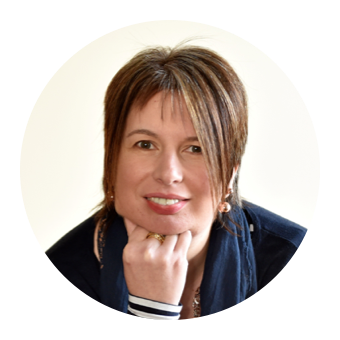 I can't quite believe that here I am once again doing my monthly roundup (and publishing it on the 1st of the month #polisheshalo). 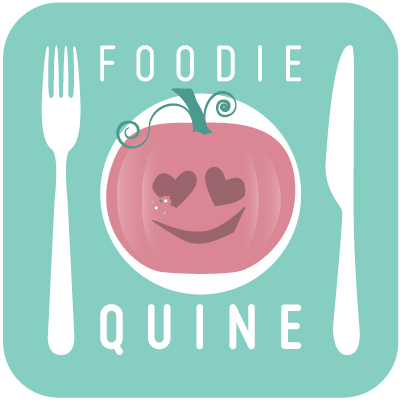 We're definitely into full on Autumn now and with Halloween on the horizon I can officially change my logo to the Pumpkin version. I think this wee chap might be my favourite of them all. As always designed by Camilla at mimihammill.com (Aberdeen based designer extraordinaire of print, pattern, funky yoga leggings and silk scarves). Time to take a look back to September and share what you might have missed. The algorithms of Instagram, Twitter and Facebook don't always want to let my followers see everything I post so this retrospective monthly roundup is my cunning way of attempting to beat the system. Expect coffee, gin, pumpkins, rice, birthday celebrations and gallivanting to the East Neuk, Edinburgh, Orkney and Dundee.